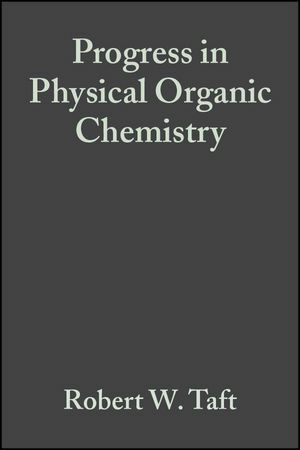 Robert W. Taft, PhD., Department of Chemistry, University of California, Irvine, is the editor of Progress in Physical Organic Chemistry, Volume 16, published by Wiley. The Nature and Analysis of Subsituent Electronic Effects (R. W. Taft & R. D.
Substituent Effects on Ground-State Molecular Structures and Charge Distributions (R. D. Topsom). Some Theoretical Studies of Electronic Substituent Effects in Organic Chemistry (R. D. Topsom). Electronic Substituent Effects in Molecular Spectroscopy (R. D. Topsom). Superbasic Ion Pairs: Alkali Metal Salts of Alkylarenes (G. Gau, et al.). A General Treatment of Electrical Effects (M. Charton).